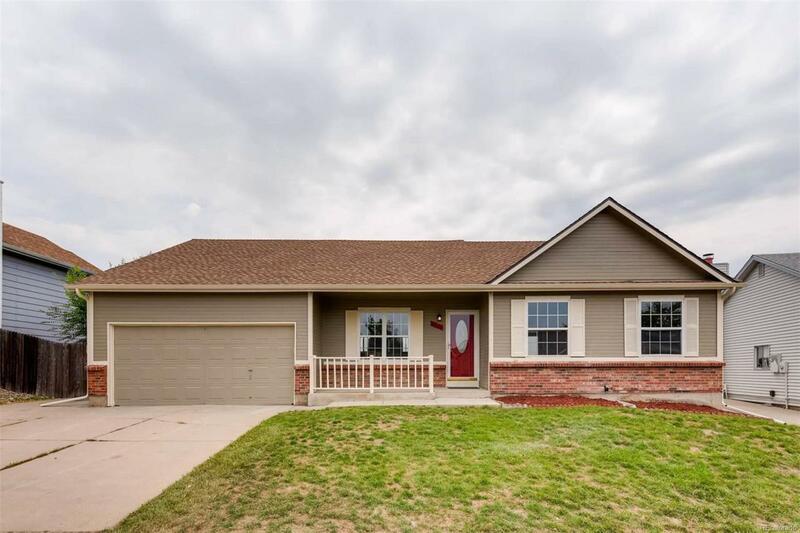 Beautiful, fully remodeled ranch home with open concept and 2 car garage! Bright white cabinets in the kitchen, all new stainless steel appliances, new flooring, new paint inside and out, new bathrooms! New carpet in the finished basement! Master bedroom on main level and beautifully remodeled master bath with two sink vanity. Two other bedrooms on main level with another full bath. Two large conforming bedrooms in finished basement, as well as a family/rec room. Central A/C, newer windows, newer water heater. Huge fenced yard, great for kids, pets, and entertaining with great views of downtown Denver, especially at night when the skyline is lit up!